Brands and agencies have been experimenting with Pokémon Go as a marketing tool, primarily to drive footfall to physical stores. For the most part, these have been one-off experiments, such as digital agency Huge’s week-long experiment to draw Pokémon Go players into its café in Atlanta. But French retailer But, a furniture brand which competes with Ikea, has rolled out a Pokémon Go competition across all 200 of its stores in France. 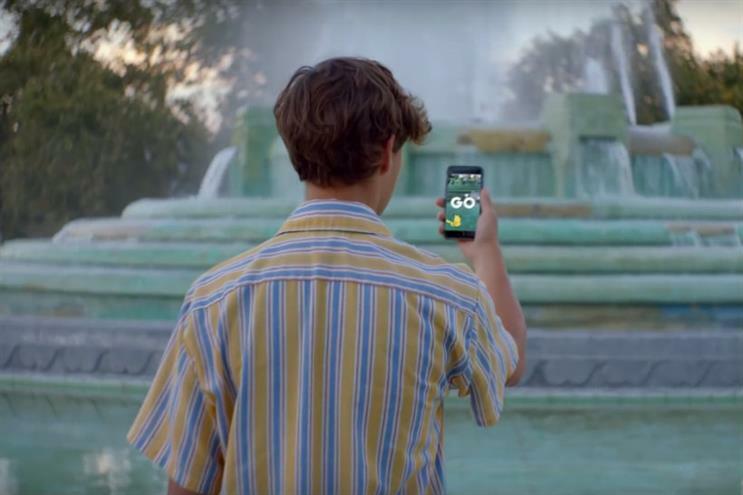 The campaign, launched by French agency Change, kicked off with a low-budget video inviting players to catch Pokémon at But in exchange for up to €200 in vouchers. Anyone who entered a But store, captured a Pokémon and took a photo to prove it received a 10% discount at minimum. The first two to post a picture on Twitter under #butattrapeztous ('But catch them all') won the vouchers. The idea had been pitched to But on 18 July and the competition kicked off on 20 July and finished on 23 July. Although Pokémon Go wasn’t officially released in France until 22 July – midway through the campaign - Change and But wanted to capitalise on the base of players who had downloaded the game unofficially. But how much overlap is there between But’s audience and Pokémon Go players, who roughly span from pre-teens to parents? The ageing French brand is, according to co-creative director of digital Stephan Schwarz, trying broaden its appeal to the type of consumer who might normally shop at Ikea. "But historically speaks to an older audience," he told Campaign. "One of the missions we have at Change is to make it more relevant to a younger audience." Schwarz described But’s product mix as a combination of classic pieces targeted at older consumers, and more Ikea-style ready-to-assemble furniture. Part of the motivation to run a Pokémon Go campaign was the location of But’s stores which, unlike Ikea’s retail parks, are often located close to town centres. It’s also not a Paris-centric execution. "In the UK, you have London and then the rest of the country and in France it’s even more so," he said. "We liked the idea that people outside of Paris could play, and it wasn’t just city slickers." Aside from scripting and shooting the launch video, which ran on French viral site MinuteBuzz, But spent no further budget on the campaign. The video was shared 2,000 times and seen 600,000 times in two days. Unlike brands in the US, But chose not to buy ‘lures’ within the game to attract more Pokémon, and thus more customers. While it is still too soon to reveal numbers, Schwarz described the campaign as a success. Of the 200 participating stores, only nine failed to attract any Pokémon Go players. But will hand out slightly less than 400 vouchers, coming to approximately €80,000 in benefits to prospective customers. Schwarz added that the brand was not overly strict on proof, handing out the 10% discount to anyone who showed staff their Pokédex, which lists any Pokémon caught. While some see Pokémon Go as a fad, Schwarz is interested in running more integrated, official campaigns in partnership with Pokémon and its developer, Niantic. He points to the built-in sponsorship platform, which resulted in McDonald’s becoming the game’s first sponsor in Japan. "Now that Pokémon Go is available in France, we hope we can build a relationship," he said. "It is a fad right now, but if [owner Niantic] builds in more features, then advertisers and brands have a huge playground."